Films can make you feel a lot of things, but it is rare that one can make you feel pure, unbridled joy. With its sincerity and sweetness, Paul King’s Paddington 2, sequel to 2014’s successful adaptation of the beloved Michael Bond character, is just such a film. Steven Spielberg once suggested that if someone can tell him an idea in a single sentence, it will make a pretty good movie. In the case of Guillermo del Toro’s The Shape of Water, that sentence would be “A mute cleaning lady falls in love with a fish monster.” It’s an unusual sentence, and its an unusual film: a Cold War noir, fairytale romance to be precise. But you know what, Spielberg was right. It’s a pretty good movie. In 2007, Morgan Matthews directed a 90 minute documentary about the weird and wonderful young competitors at the International Mathematical Olympiad (IMO) called Beautiful Young Minds. 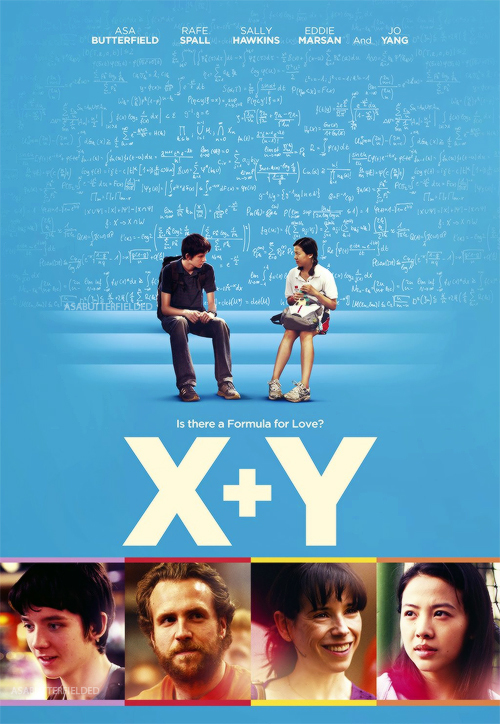 The subject matter obviously left its mark on the director as seven years later he would return to it for his feature film debut X+Y. There are two types of Woody Allen films: those which are just for the Woody Allen fans and those which are for everyone. I suppose there is also a third group: those which kind of miss the mark and fail to please anyone, but that is forgivable for a filmmaker who has made at least one movie a year for the last four decades. His latest film, Blue Jasmine, is one for everyone due in no small part to a lead performance from Cate Blanchett that is really something quite special. In a classic tale of riches to rags, we first encounter Jasmine as she arrives in a San Francisco to move in with her working class sister, Ginger. A former New York socialite, Jasmine lost everything – her home, her money, her lifestyle and her mind – when her investment banker husband was jailed for some Bernie Madoff-style dealings. While Jasmine formulates a plan to get her life back on track –she takes a computer course with the ultimate aim of studying interior design online – she causes considerable chaos in Ginger’s life. Indebted to Tennessee Williams’ A Streetcar Named Desire, Jasmine, the latest in a long line of brilliant female characters written by Allen, is our Blanche DuBois. She is a delusional woman forced to move into her sister’s working class life, surrounded by brutish men and pining for her lost life of privilege. As with Blanche, we find ourselves simultaneously drawn to and repelled by Jasmine. On one level we sympathise with her. She has had the rug pulled out from underneath her and is clearly damaged. But as much as she is a victim of her husband’s crimes, she is also a victim of her own self-delusions. Whether it is turning a blind eye to her husband’s shonky dealings and infidelities or changing her name from Jeanette to Jasmine and devising a colourful story about how her mother gave it to her, Jasmine seems content both to be deceived and to deceive herself, and as such has no problem with being false in her engagement with other people. While the supporting cast of Sally Hawkins, Alec Baldwin, Bobby Cannavale and Andrew Dice Clay is quite excellent, really, this film is all about Cate Blanchett. She is already an Oscar winner and considered among the finest actresses of her generation, but Blue Jasmine may just represent her best work to date. Blanchett’s performance is layered and multifaceted. Jasmine is at once fragile, vulnerable, arrogant and cruel. The film’s narrative structure jumps back and forward in time between Jasmine’s current situation in San Francisco, and her old life in New York, which means that rather than watching the progressive deterioration of a character, we are jumping back and forth to different points in that deterioration. We see in New York Jasmine evidence of the same insecurity and fragility which will overwhelms and then defines her in San Francisco. 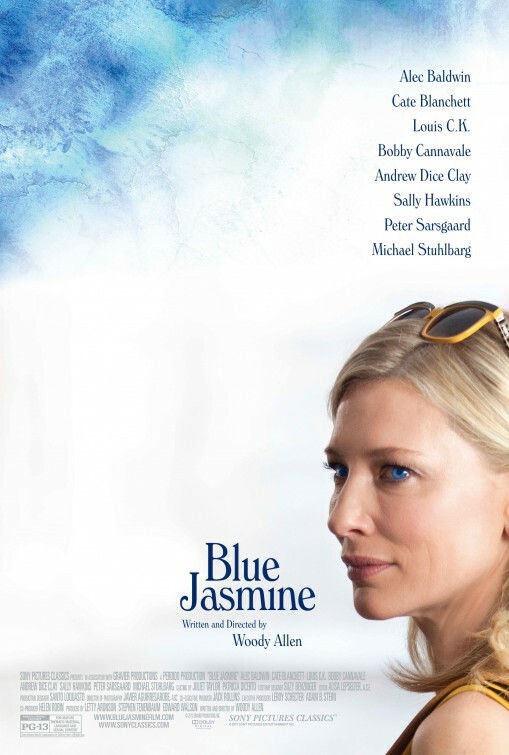 Blue Jasmine doesn’t feel like a normal Woody Allen film. The working class setting doesn’t allow for the rapid, pseudo-intellectualism one usually associates with his dialogue, and while there are moments of humour, this is a serious story. But while it isn’t typical, it is none the less Allen – and Blanchett – in top form.